On our way to the Gap of Dunloe we decided to visit this group of Ogham Stones. They are located in a small enclosure near the entrance to the Gap. The group consists of eight stones, seven of which were moved to here from a souterrain at Coolmagort, the other came from the ruined church at Kilbonane. I have numbered the stones starting from the left as you enter the enclosure. 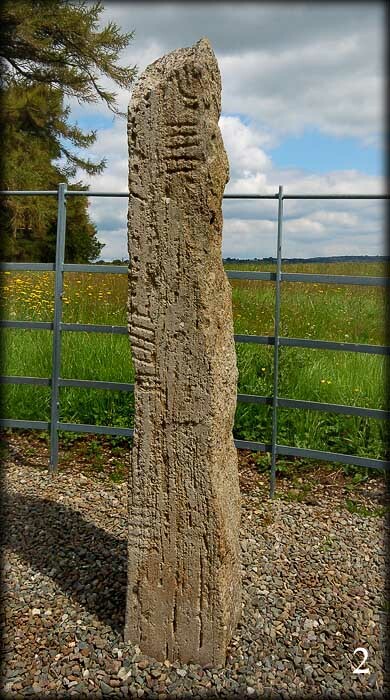 Ogham Stone No. 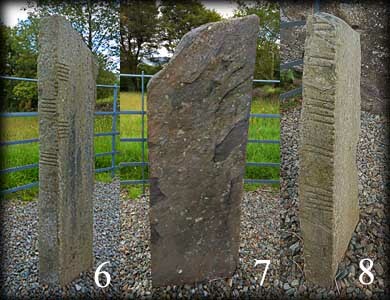 1 which is now in an inverted position came from Kilbonane and bears three inscriptions. B[...]AGNI MAQI ADDILONA -Baidagni son of ? 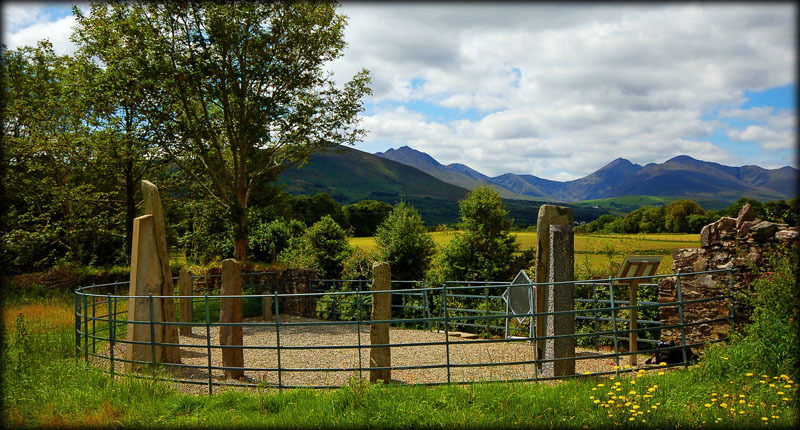 Situated: From Killarney take the N72 west for 5 kilometres. Turn left on to the Gap Road (Sign-posted Gap of Dunloe). At T-Junction turn right. Keep to the right for 1 K. The ogham stones are on your right. They are marked on the opposite side on the OS Map. Discovery Map 78: V 8795 9100. Last visit July 2011.